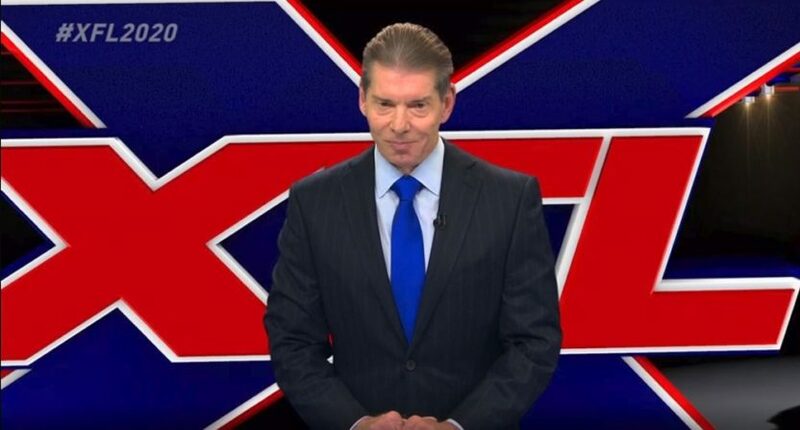 Vince McMahon announced the relaunch of the XFL on Thursday, and here's what you need to know. On Thursday, WWE owner Vince McMahon announced that he would be resurrecting the XFL, and it would begin play early in 2020. In a press conference, McMahon discussed his decision and talked about the league’s reboot, revealing plenty of details (while also leaving out some necessary information). Here are ten things you need to know about the “new” XFL, which includes details from interviews with McMahon conducted by both ESPN and the Sports Business Journal. 1. No politics. Here’s what McMahon told ESPN about the prospect of politics coming into the NFL. I wonder if McMahon considers CTE a social or political issue. 2. Players can’t have criminal records. If a player has a criminal record, they won’t be allowed in the XFL. Sorry, Johnny Manziel. The XFL also won’t have cheerleaders, beating home that “family friendly” mantra. 3. Single-entity ownership. Much like Major League Soccer, the XFL will own all of the teams in its league. The XFL will be a single-entity league, which means that McMahon will own and control each of the individual teams. This ensures that all teams will essentially be on the same playing field in terms of payroll, salary structure, punishments, etc. 4. A faster game. McMahon envisions games lasting two hours, which seems like a stretch. McMahon said that will translate to faster games in the new XFL, ones that could fit into two-hour windows with fewer commercial breaks. It’ll be interesting to see where time gets cut, though McMahon said there might not be a halftime. McMahon promises a faster game, and one that might be completed within two hours. Might not be a halftime at all. 5. Eight teams, ten weeks, and four playoff teams. This one is somewhat self-explanatory – the league will consist of eight teams playing a ten week season. Four teams will go into the playoffs, with two semifinals and one championship game. The markets that will host teams will be announced in 2019, and will be “large and medium-sized markets”. The season is expected to start after the Super Bowl. 6. A different way of watching football. The original XFL pioneered the use of Skycam during games, and the new XFL could follow in those footsteps by creating new camera angles and feeds for streaming experiences. 7. Unknown distribution. Where are you going to watch the XFL? Right now, it’s up in the air. No media plan specifically in place. Will be a mixture of traditional and non-traditional. Games streaming on WWE Network seems like an obvious fit to me. 8. Marketing, shmarketing. If a team is located in a city with a college or pro team, don’t expect that team to go after former stars from those teams just for the sake of marketing. I guess Tim Tebow won’t be quarterbacking the new and improved Orlando Rage. 9. No WWE tie-ins. If you’re expecting Brock Lesnar to suit up for the Revamped Las Vegas Outlaws or one of WWE’s announcers to call any games (like Jim Ross and Jerry Lawler did during XFL One), don’t hold your breath. There will be no crossover from WWE management or talent. The league will have a separate management team from WWE. McMahon will continue in his WWE roles, and its management will serve as consultants to the XFL. Vince McMahon says there will be no crossover of broadcasters between the WWE and new XFL. 10. $100 million in funding – and counting. The XFL is still two years from launching, and it has nine figures in potential funding from McMahon’s Alpha Entertainment equity company. Will the XFL succeed? It’s clearly too early to answer that question. But McMahon’s press conference on Thursday clearly generated buzz and excitement, and it seems like that was the goal for today. Once more details are released, and once (if) the games start, then we can make judgments about the future of the XFL and the quality of its football.